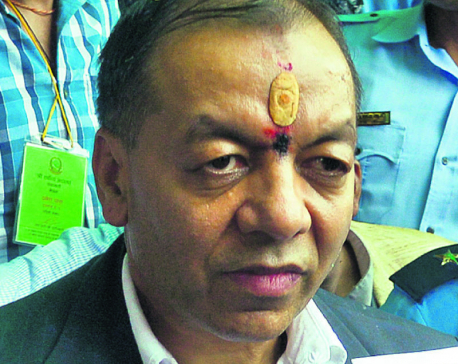 KATHMANDU, OCT 26: The Supreme Court on Wednesday issued a certiorari order directing the government authorities to avoid the sacred stones, which are known as symbols of wish under Limbu culture while constructing the Taplejung district based North-South Highway. 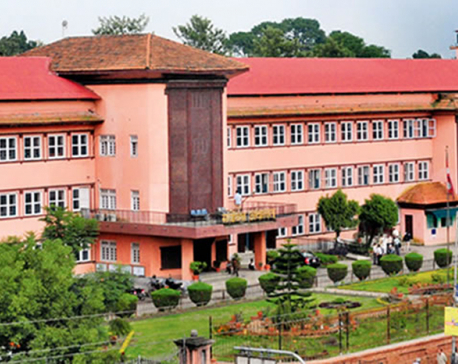 A division bench of justices Deepak Raj Joshee and Meera Khadka issued the order following Tuesday's final hearing in response to a writ petition jointly filed by advocates Prabin Pandak, Manish Kumar Shrestha, Rajeshwari Shrestha and Santosh Bhandari. Stating that every community has the right to practice and profess the culture they have been practicing since long back, the apex court directed the government authorities to protect the sacred stones. The panel of lawyers had moved the apex court seeking its intervention in order to protect the stones by directing the government authorities -- the Office of the Prime Minister and Council of Ministers, the Ministry of Physical Infrastructure and Transportation, Ministry of Culture, Tourism and Civil Aviation, the Department of Roads, the Ministry of Federation Affairs and Local Development and the Department of Water and Sanitation -- for safeguarding the cultural rights of the Limbu community while constructing the road. According to the writ petitioners, the Limbu community reposes trust in the wishstones in their customs. They have been installing kyamalung stones for ancestors, khumlung stones for settling disputes and lunglung stones for protecting the boundaries of the land. Similarly, the Limbu community ritually installs different stones for different purposes. For example samayok lungyok stones to mark a vow to do something; yanglung for fixing the relations between those in love, and sunglung stones after death, according to the writ petitioners. According to the petition, there are wishstones in various places across the country and the state should protect them. During Tuesday's hearing, senior advocates Purnaman Shakya, Chandra Kanta Gyawali and petitioners themselves sought apex court order to protect the wishstones in line with Articles 26, 32(3) of the Constitution and Article 2 (B) of the UN Convention on the Rights of Indigenous Peoples, 1989.